If you've watched the Apple WWDC Keynote for 2015, then you'll notice some of the new features that Apple introduced for iOS 9. 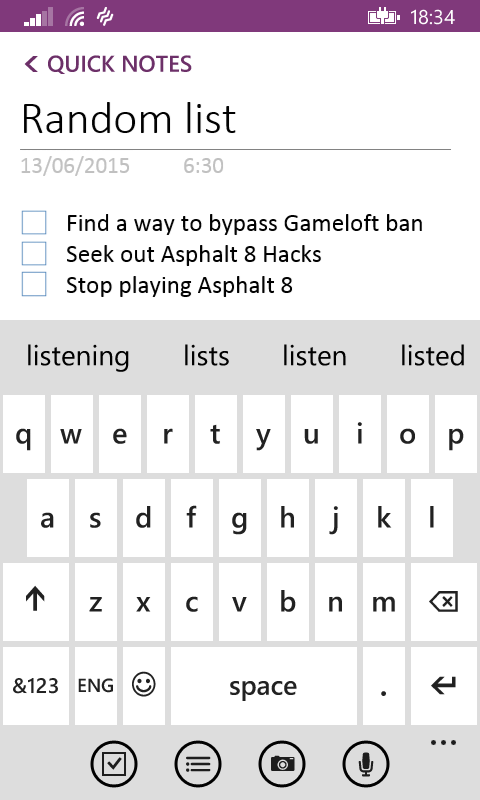 If you're also a Windows Phone user, then you'll notice some blatantly obvious ripped-off features from WP8.1 in iOS 9. The iOS 9 notes app is mimicking the Windows Phone "OneNote" app as much as possible. But that's just an opinion - the recently introduced features reinforces this, but what's the point of complaining. Here's some actual content. Why was this even touted as a feature in the first place? iOS already has a "Reminders" app which works well as a dedicated "checkboxing" app. With this new feature creep, I now have two apps to check for my reminders or at least - to check for a list of things to do which I'll never do... Good job! As an added bonus, you can't set alerts for items in your notes app. So what's the point? Or at least get rid of the Reminders app and have a single "Notes/Reminders" app that does both at the same time. Here's a screenshot of the checkboxes in action. Or at least, it would've been a fairly impressive feature if it wasn't for the fact that the stock OneNote Windows Phone App can perform the exact same task - only 2 years earlier. With the iOS keyboard - in particular in the notes app, you get a bonus row at the top with additional actions to perform when manipulating text. At the top, you get a "checkbox button", to transform the currently selected line into a line with a checkbox. Right next to the "checkbox button" is a button to mess around with the text sizes. And before the little "X" button is a Camera icon, designed to allow for visual content to be embedded directly into the current note. Sounds cool and convenient doesn't it? OneNote has a nifty row of actions as well. Though instead of being at the top, OneNote places the row of actions at the bottom. If anything, Apple "innovated" by moving the placement of the actions row to the top - never-mind the rip-off of the feature in the first place. Diving deeper into the Enhanced Keyboard (with the actions row at the top), the text formatting action provides a way to add a small set of lists - Bulleted Lists, Dashed List and Numbered List. 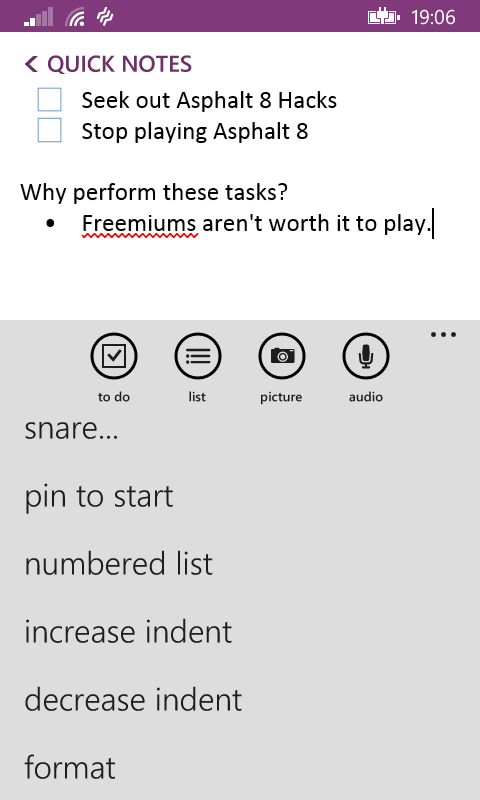 The issue isn't with the concept of a list in a notes app, but the UI rip-off of having a menu at the bottom where you're able to change the formatting is blatantly copied from the OneNote app. I guess that a comment that can be made is that the iOS lists "innovates" by having an additional list style: "Dashed List". Despite these blatant rip-offs for the Notes App in iOS 9, there are some pretty cool features added in. For instance, iOS has selection control via the onscreen keyboard...Which, with a pair of fingers is nifty to navigate through text selection to cut, paste, and perform other manipulations with the selection. Neat. Windows Phone 8 does something a little different with the keyboard though. But then again, allowing the "Keyboard to be a trackpad" will indeed to prove to be an innovative feature. 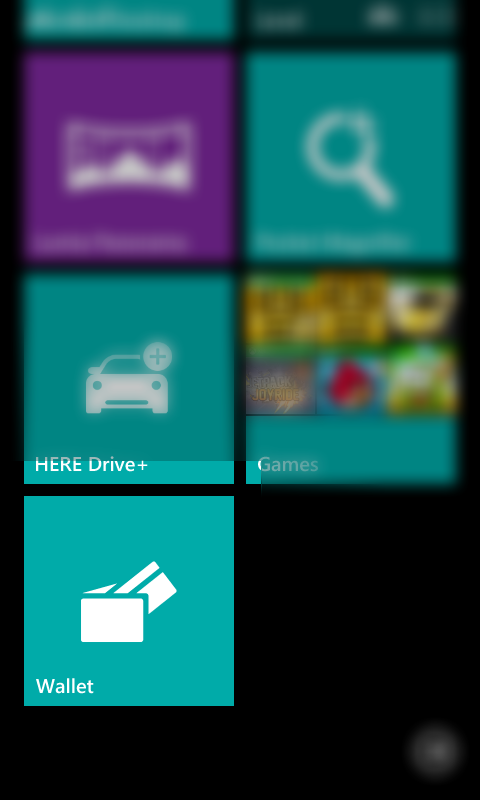 The WP8 keyboard has been done elsewhere, even in iOS (just not natively). The word "Battery Saver" had that much more bite to it - and that's why I named this section after the original Windows Phone counterpart of iOS' "Battery". The best way to show this rip-off off is to show the respective screenshots for both operating system's implementation side-by-side (of course, with WP8 being the first). Here, the two screenshots show two very different, but share a similar story. 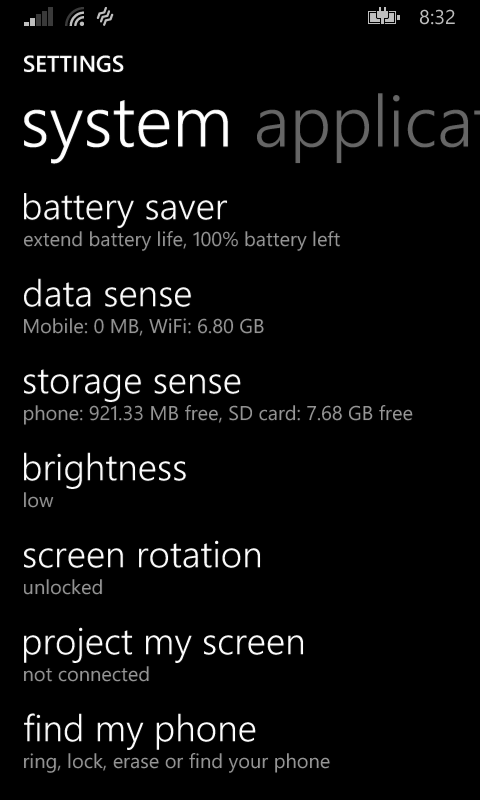 In the iOS screenshot, the setting is called "Battery", and in WP8, the setting is called "battery saver". When you enter in the respective setting panels, you'll notice the "Low Power Mode" in iOS 9, and the "Conserve battery life/Battery Saver" mode in WP8. Both perform the same task of disabling power-hogging features for until you toggle off the mode specified, and both seem to do a good job in keeping the battery juice in check. iOS has a really helpful "Battery Usage" section though, which displays the percentage of power used by apps and features. In any case, the battery saver mode reveals how poorly battery life is getting for iPhones. 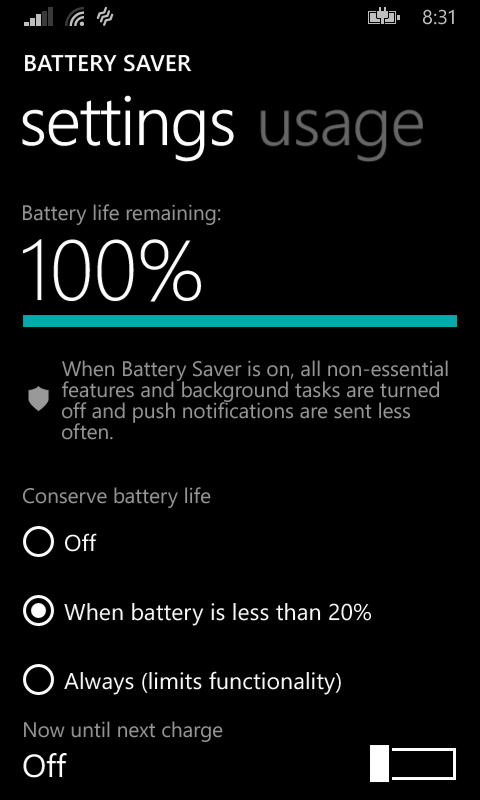 With a Nokia/Microsoft Lumia, you typically get 1 and 10 hours of usage (50+ days standby) with a full charge. 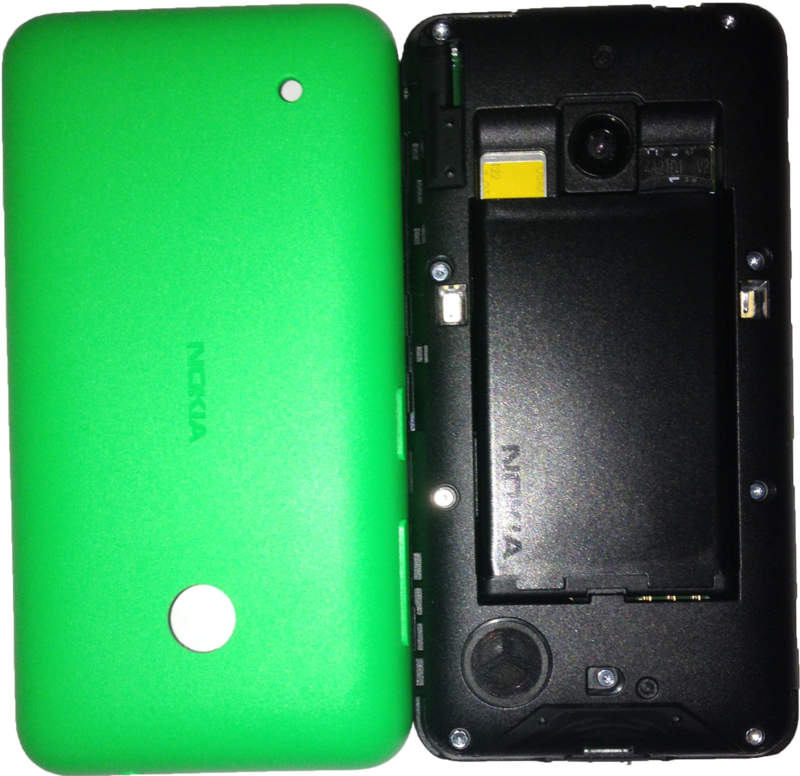 Not only that, but you can also take out the case and exchange batteries when the battery starts to no-longer hold a days worth of charge. So here comes the conundrum. Either Microsoft thought of something so good that it had to be copied, or Apple just took "inspiration" from Microsoft. 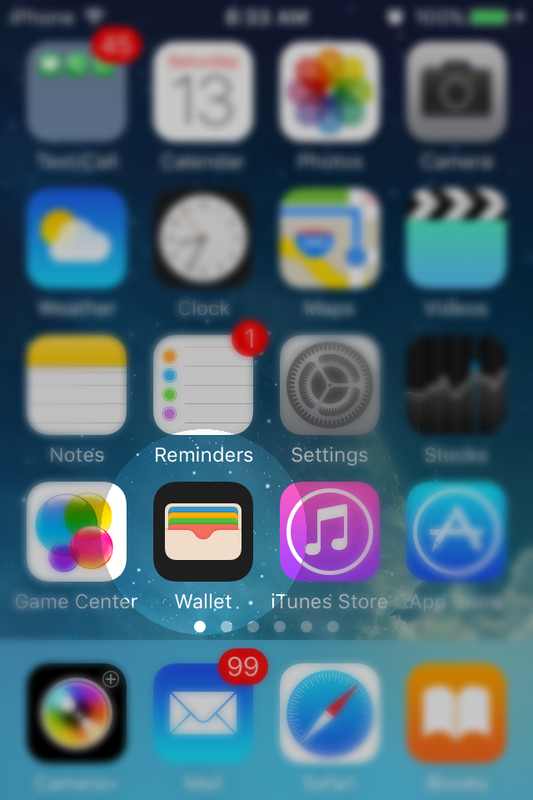 Either way, "Wallet" is a thing now in both operating systems. And that's it when it comes to rip-offs! There should be more -- the more the features that get announced/introduced into iOS 9, the more the amount of rip-offs pile up. Oh, and to get iOS 9 Beta 1, sign up here https://beta.apple.com/ and just wait until the public beta comes out in July - it's not worth getting your phone locked for a month (even more), in order to see these "new" features. It's still fairly unstable at this point in time.